Curlin vs. Big Brown: Every racing fan in the nation wants to see it. It's a match-up that would be great for the sport and would give the industry a huge shot in the arm. The only problem is, with every passing day the chances of it happening seem to grow slimmer. 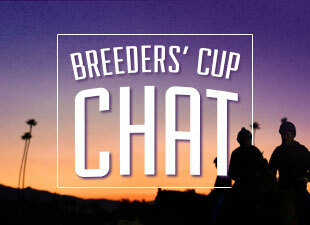 From where I sit, the only realistic way it happens is Oct. 25 in the Breeders' Cup Turf. That's right, the Turf, not the Classic. Curlin will go in the Woodward on Aug. 30. Most of us are in agreement that this is a logical place for Big Brown to meet Curlin, as it gives him four weeks rest and it's at Saratoga, the best meet in the world. The only problem is, Iavarone said he is looking for a turf race for Big Brown, some time in mid-September. I have yet to hear his reasoning for this, but can only assume it is to prep him for a run on the synthetic at Santa Anita and possibly to ease his troubled feet. If Big Brown goes in a turf race in mid-September that takes out the possibility of the two meeting in Curlin's next tilt, which based on Jackson's comments today, could be the Jockey Club Gold Cup on Sept. 27. He also gave a few other possibilities, including the Sept. 20 Mass Cap, but either way, he won't be meeting Big Brown in September. The timing just isn't right. "I'd like to go (to the Classic). I'm a native Californian. But it's on an untested surface. It causes great concern. Why run a horse like Curlin that is on a surface that's undefined? We've won the Classic - been there, done that. (If we did go), I would love to have a prep race on the exact surface, but it doesn't appear we will be able to. We would probably only be able to exercise on it a few times." He is scared to death to race Curlin on that surface. He made that very clear in his lengthy media conference. Could he have a change of heart? Sure, anything is possible. But don't count on it. Where does all this leave us? The only logical place is the Breeders Cup Turf. For it to happen, Big Brown will need to win his mid-September race and look good doing it. That would give Iavarone all the confidence he needs to stick Big Brown in the BC Turf, for what would be his final race. It would also be more acceptable to Jackson, who was clear today when he said Curlin could very easily go back to racing on turf, despite his losing effort in the Man o' War. It would also be very attractive to both because of the historical ramifications. Can you imagine if the Derby and Preakness winner won his his final career race in the BC Turf and beat the reigning Horse of the Year doing it?Or, if the 2007 BC Classic winner ended his career by winning the 2008 BC Turf, defeating the probable 3-year-old champion doing it? Both would be unprecidented and amazing accomplishments. Other than Iavarone having a change of heart and deciding to run Big Brown in the Woodward, I can see no other way that these two meet. And if that is the case, I think I speak for all of us when I say, what a shame that would be.